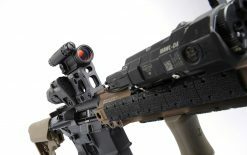 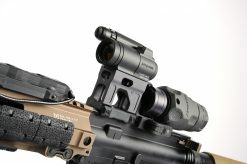 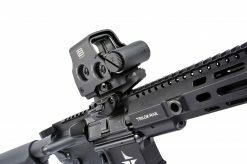 FAST™ is a series of optic mounts and platforms that provide end users with a quicker sight picture than standard height mounts. 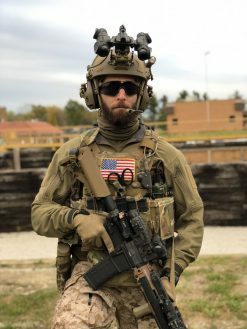 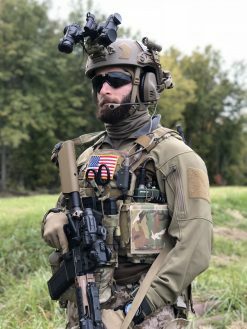 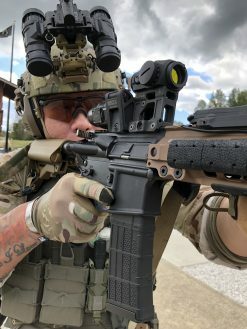 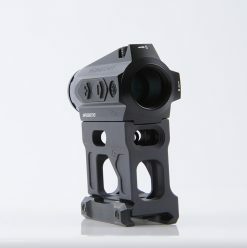 A 2.26” optical centerline height provides faster/easier reticle acquisition while wearing electronic earpro/communications headsets, night vision goggles and gas masks and allows for more rapid visual processing of the battlefield by promoting a heads-up posture. 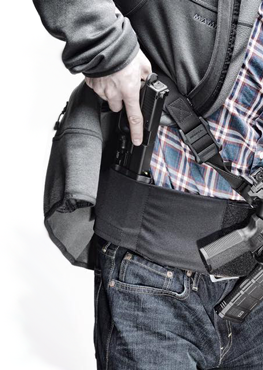 A heads-up posture also helps users maintain a neutral spine position which is more comfortable while wearing helmets, plate carriers, and other heavy gear. The FAST™ Micro Mount features built-in standard height back up iron sights that keep weapons uncluttered, without reducing capability. 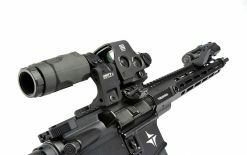 Both front and rear BUIS are completely adjustable for windage and elevation. 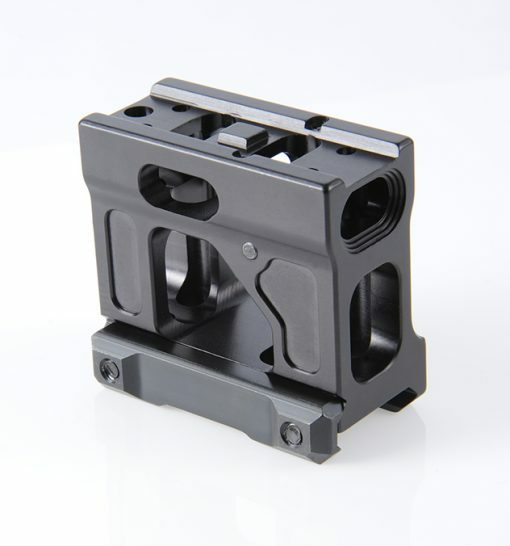 The front sight post can be removed so that the rear BUIS aperture can be used with a traditional front sight such as our FUSION fixed or folding sights (if present), creating a more conventional sight radius. 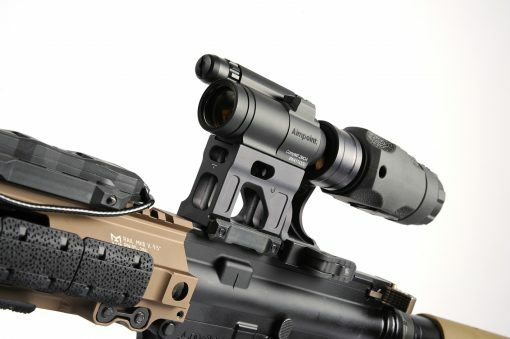 However, the built in front/rear BUIS is perfect for backup on super short PDW/SMG platforms where rail space is critical for mounting lights and lasers. 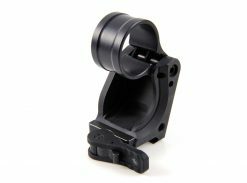 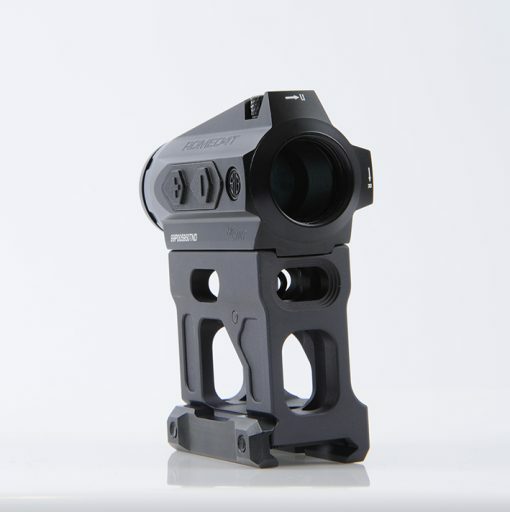 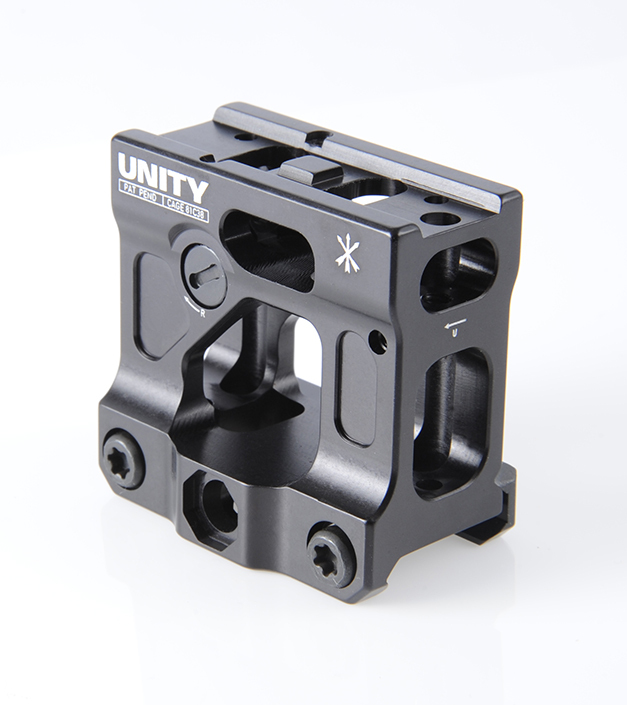 Designed for Aimpoint® Micro (H1, H2, T1, T2, CompM5) and other optics with Aimpoint® Micro footprint, such as those found on many Sig Sauer®, Holosun®, Primary Arms®, and Vortex Optics® platforms. 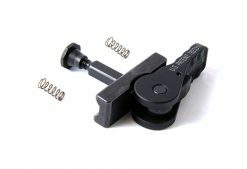 The FAST™ Micro Mount comes with a standard rail-grabber clamp mount, but is designed to readily accept a drop-in American Defense Manufacturing® patented QD Auto-Lock™ Lever (sold separately). 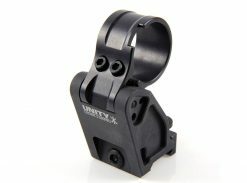 This mounting option will provide quick detach capability. The FAST™ Micro Mount is built from 7075-T6 Aluminum and Type III Hardcoat Anodized Black or FDE*. *Due to the chemical process that takes place during Type III Hardcoat, the final finish can vary slightly from part to part (even parts done in the same batch). 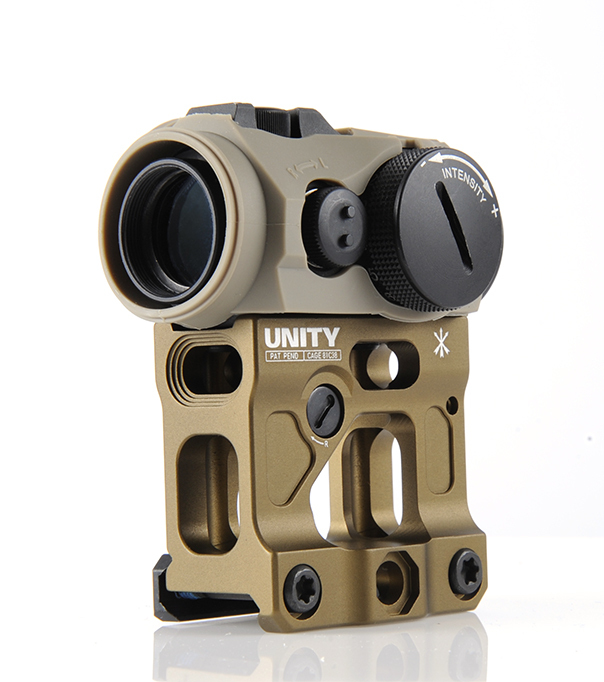 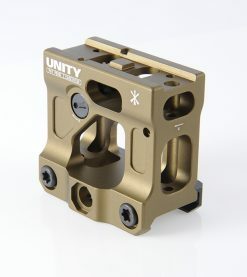 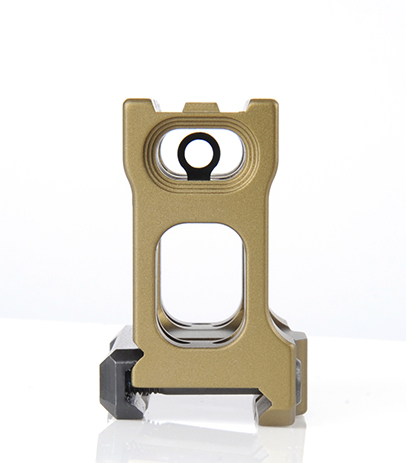 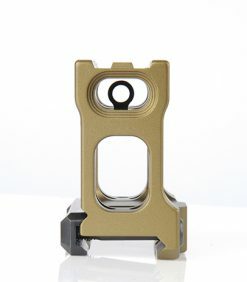 Therefore, your FDE FAST Mount may vary from one to the next, and may vary slightly from the photos shown online.